On August 14, 2013 Nancy Pelosi accused Republicans of taking “food from the mouths of children” in a “wrong-headed approach” to cut food assistance programs. Did you know “The food stamp bill passed by the Republican-controlled House of Representatives earlier this month, widely criticized for supposedly cutting the nutrition assistance program to the poor, would actually raise spending over the next decade by 57%, to $725 billion from the $461.7 billion that was spent on the program in the last decade”…? The Democrats planned a $764 billion increase over 10 years. Remember over the last decade we spent $461.7 billion! Those conservative Republicans, those dirty, child killers and right -wingers want to cut $39 billion over ten years. All that yelling and screaming and frothing over an increase of 57% instead of a 65% increase proposed by Democrats.! 130 Million NOT working, almost 50 million on food stamps! While looking up Tim Iacono in recent Mover Mike postings, I reported in December 2010 that including D.C., Oregon was fifth in the nation at using food stamps. Oregon had 19.3% of its population on food stamps. 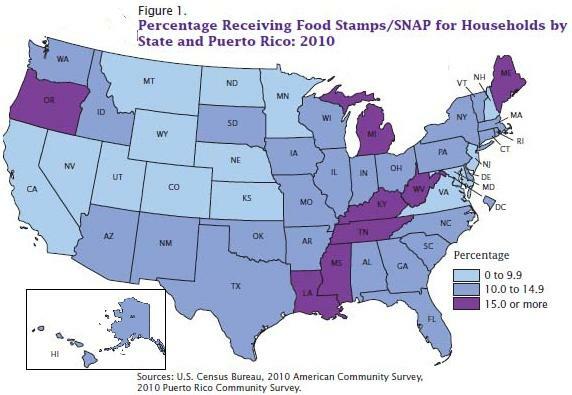 By May, 2011, Oregon had advanced to #2 among states with the Percentage of Population on Food Stamps at 20.1 percent. Annual Change in Food Stamps from 2010 equaled 9.6 percent. By November 2011, 20.7% of Oregon’s population was on food stamps. KGW reported on September 12, 2012: Some 17 states showed statistically significant increases in the poverty rate, led by Louisiana, Oregon, Arizona, Georgia and Hawaii. For September 2012, 820,459 or about 21.5% of Oregon’s population is using food stamps. Does that put us at #1? We can finally shout, “We’re #1, we’re #1!” What a great accomplishment! Do you ever get tired of the politicians in charge? Do you ever think touching the hot stove is not getting different results?